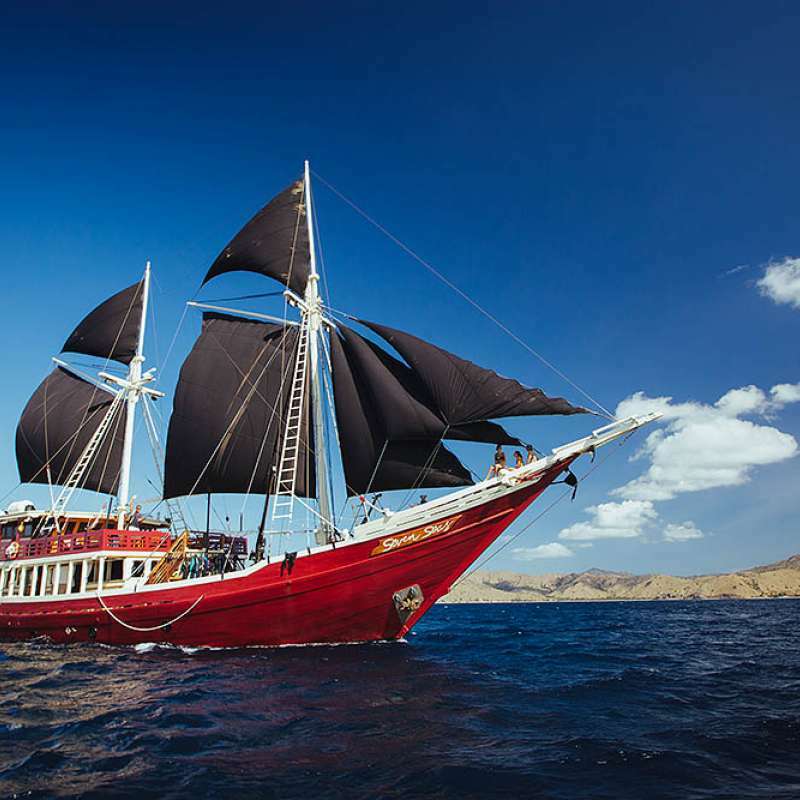 Tiaré cruises in the stunning Indonesian archipelago with a number of different routes and departure and end points. 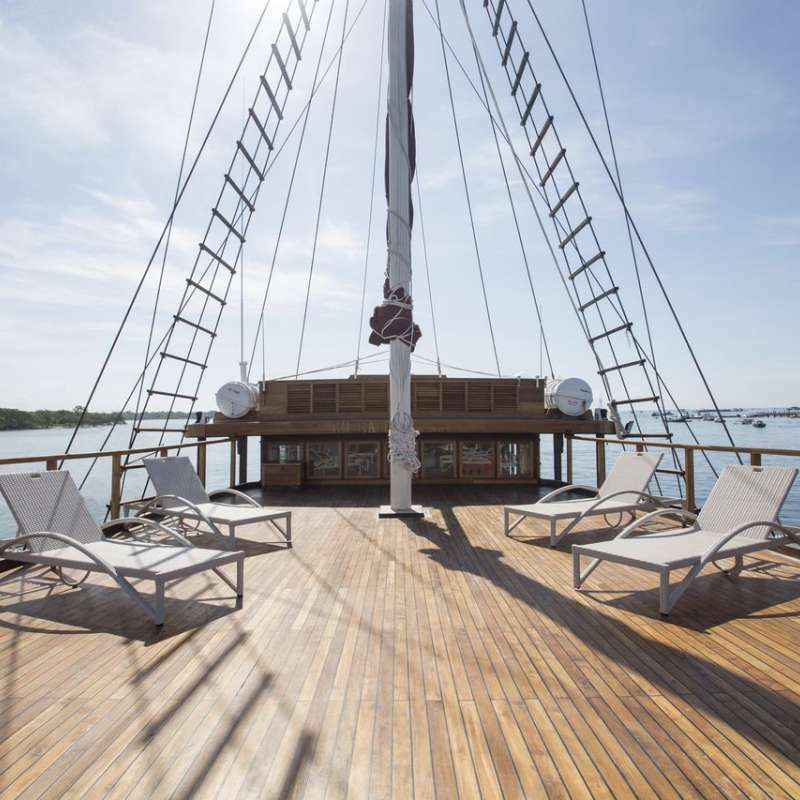 From Bali, Flores and Komodo NaConal Park, Alor and all the way to the prisCne reefs of Raja Ampat, East Timor and the Banda Sea, Tiaré offers trips from 5 to 11 nights. 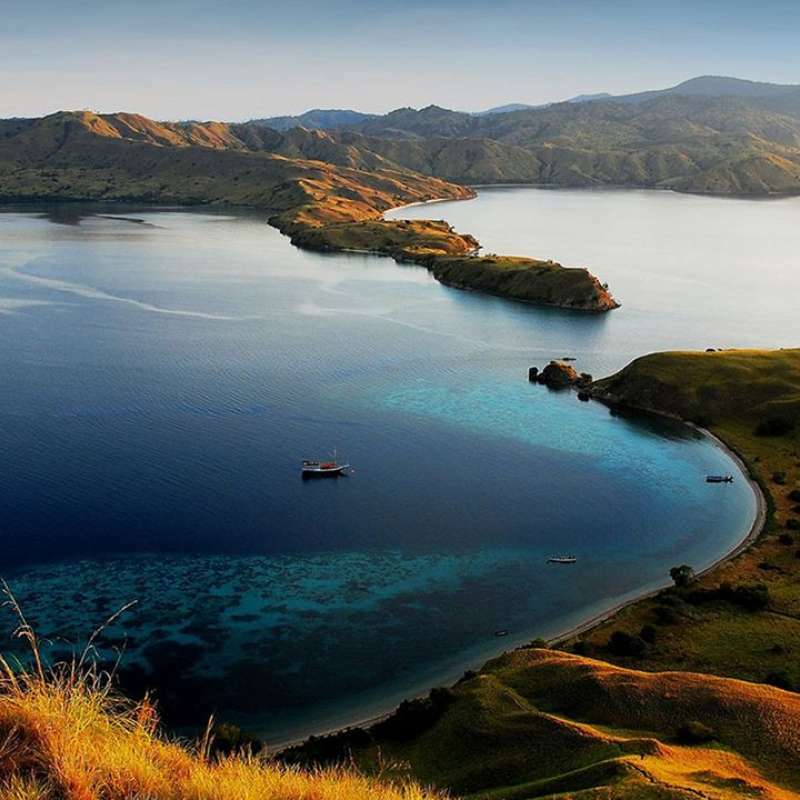 Komodo is not only famous for it macro life, there is an abundance of fish and corals due to its mineral rich waters. Don’t be surprised to see some beautiful pelagic, like sharks or mantas. Due to it geographic location, right in between the Indian ocean and the Flores sea in the North, we can expect stronger currents. Water temperature: Water temperature: 19-28°C. Around Southern Komodo and Rinca Islands the water temperature drops drastically 24-21°C, a 5mm long suit is advised and hood and booties are strongly recommended. Airport: Labuan Bajo. International flights reach Bali, then domestic flight to Labuan Bajo. Raja Ampat literaly translates to Four Kings. The myth goes that each King reigns over one of four main islands, Misool, Salawati, Batanta, and Waigeo. There are a great variety of environments to cater for every diver’s taste and level: from wall to slopes, caves and canyons, seamounts, much diving, wrecks. Cape Kri. 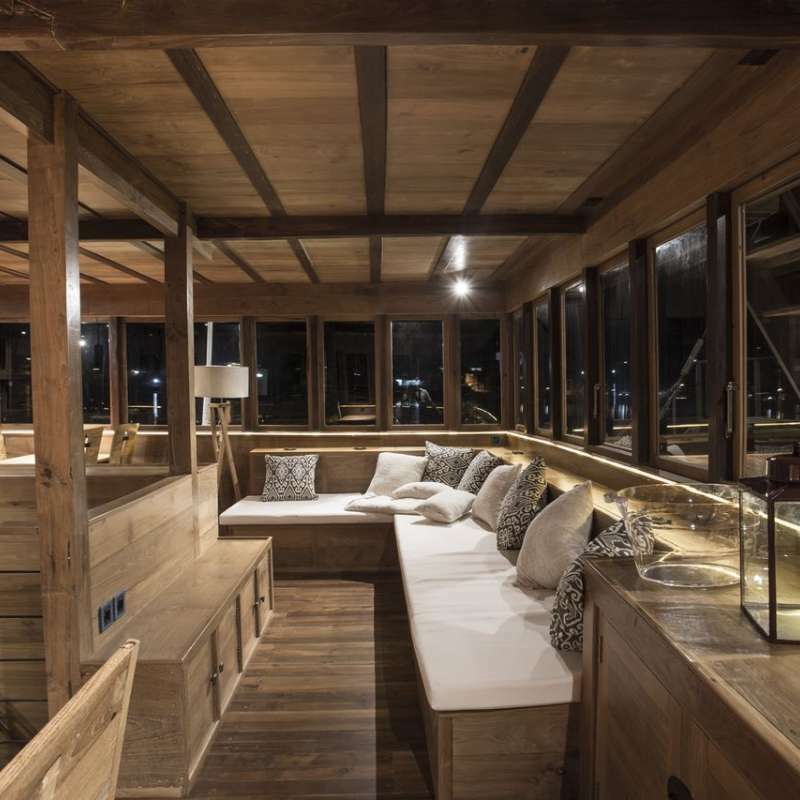 If you want to see large fish and to be enveloped by fish then roll in here, both desires will soon be satisfied. Groupers, sharks, snappers, Napoleon wrasse, barracuda, dogtooth tuna, trevallies. They are all here in numbers. Cape Kri is a great place to spot wobbegongs, the curious carpet shark, but you should also admire gorgonian fans to look for pygmy seahorses grasping its branches. The remote and unspoiled islands of Adunara, Lembata, Pantar and Alor are East of Flores. They are probably one of Indonesia’s best kept diving secrets. From incredible muck dive sites to impressive walls, crystal clear water to black volcanic sand sites. Water temperature: 22-28°C. A 3mm shorty should be sufficient for Flores but it can cool down a lot in the Pantar strait; a 5mm shorty is advisable over a 3mm full suit. Airport: Maumere (MAF). International flight to Jakarta or Bali and then domestic flight to Maumere. The Forgotten islands are part of the Maluku Tenggara which is a 1.000 km chain of archipelagos running from East Timor to Western Papua. 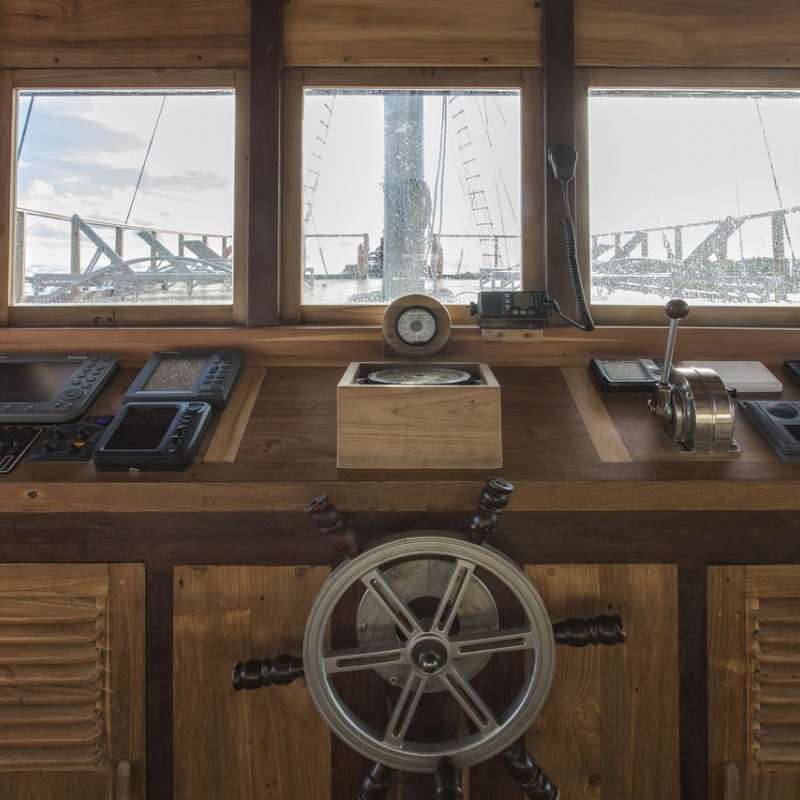 If you don’t like to run into any other liveaboard cruise you could imagine yourself as the only person in the world on one of old trade ships. Then this is the route for you. We will be diving some unexplored reefs. But also visit an area where we have spotted hammerhead schooling. Ever seen an active volcano? We can guarantee you an explosion. We like to hang around for the sun to set, so we can see the red hot lava roll down the slope into the water. Water temperature: 22-28°C. A 3mm shorty should be sufficient for Ambon but the Banda Sea can cool down a lot a 5mm fullsuit is advisable. 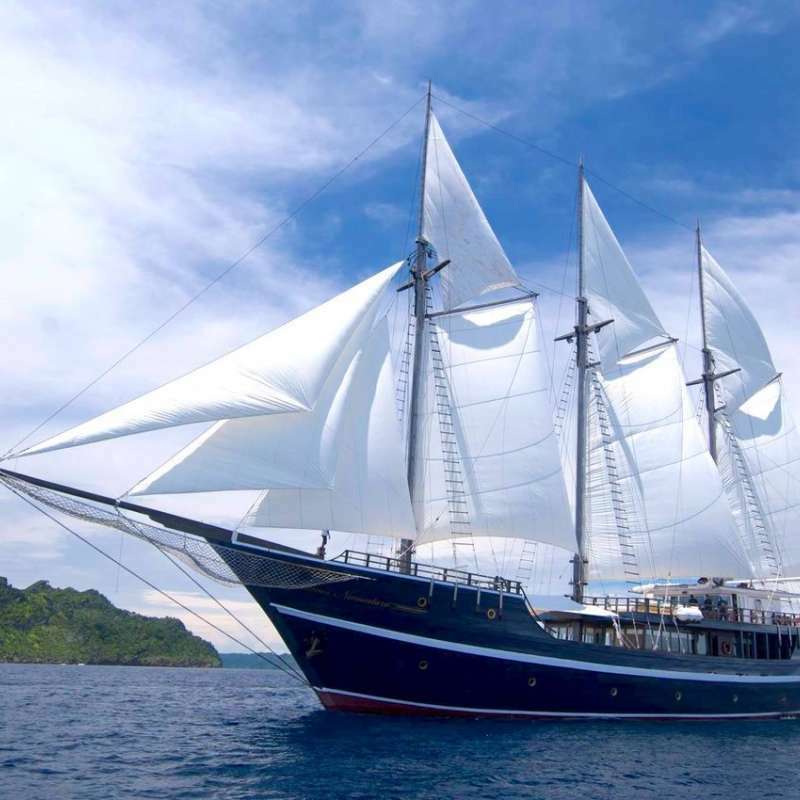 Période: les croisières plongées au Nord Sulawesi sont possible toute l'année avec une saison haute de Avril à Octobre. Climat: climat équatorial Tropical dans tout le pays, la fourchette de température quotidienne moyenne est de 23° à 30°. La saison des pluies va de Novembre à Avril. Eau: les températures de l'eau sont généralement de 27°/29°, avec certaines parties plus froides comme au Detroit de Lembeh (25° en Juillet/Aout). 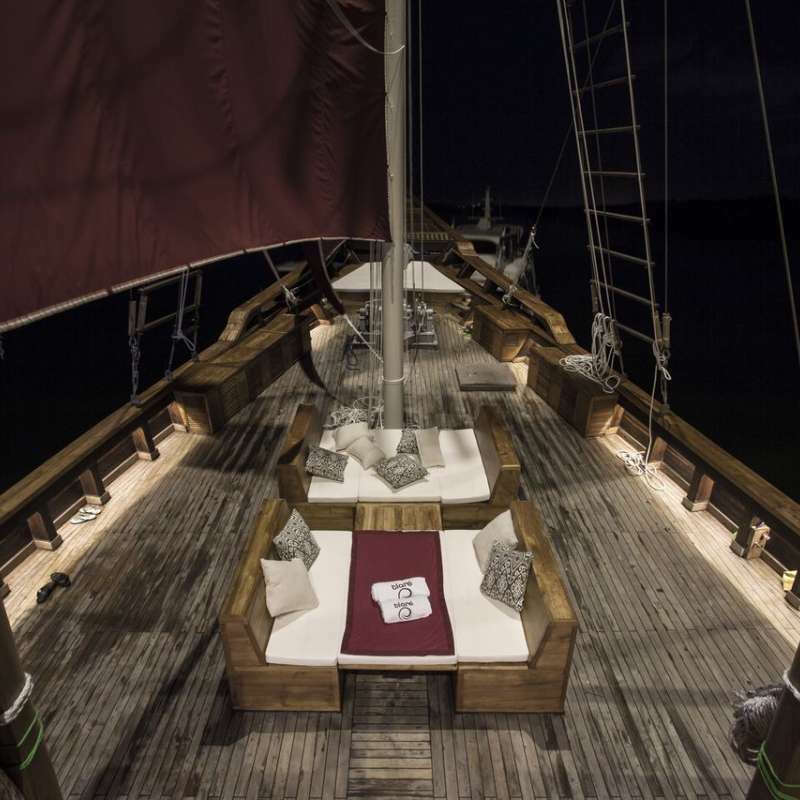 Le Tambora est un yacht de plongée professionnel qui offre tout le confort et le plus grand luxe à bord. 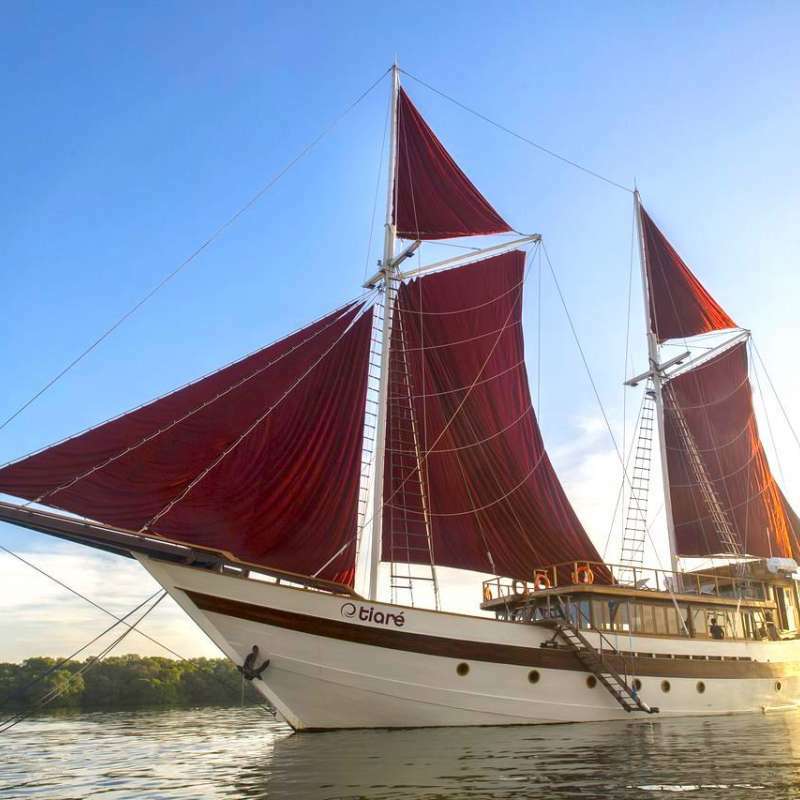 Il propose des croisières dans toute l’Indonésie selon la saison et peut accueillir un maximum de 16 plongeurs. 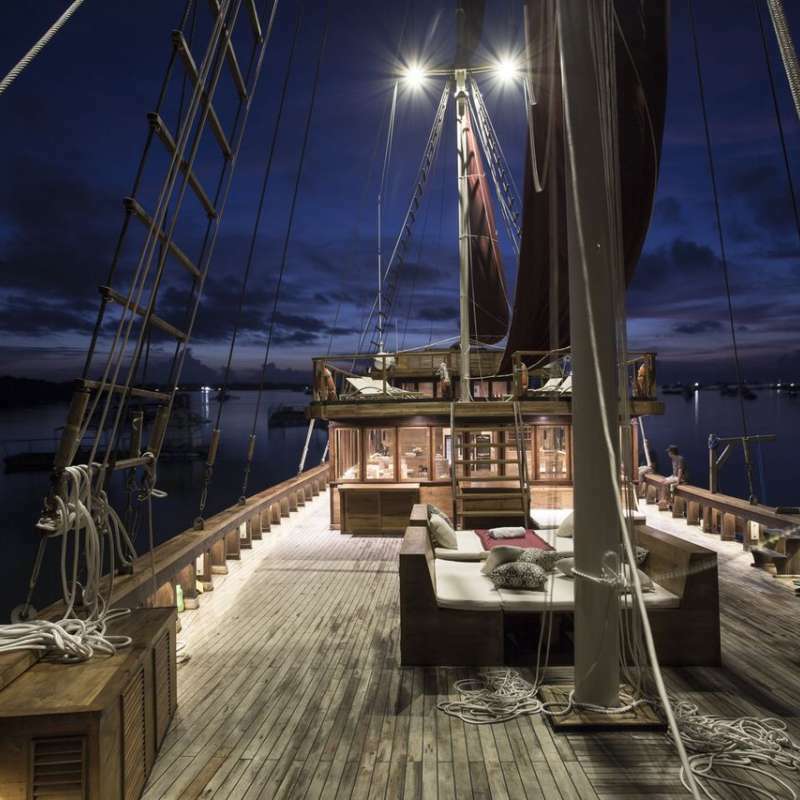 L'Amira est un bateau traditionnel Phinisi de luxe proposant des croisières de plongée à Komodo, Raja Ampat, dans la Mer de Banda et dans l'est de l’île de Flores. Il peut accueillir un maximum de 18 plongeurs à son bord.